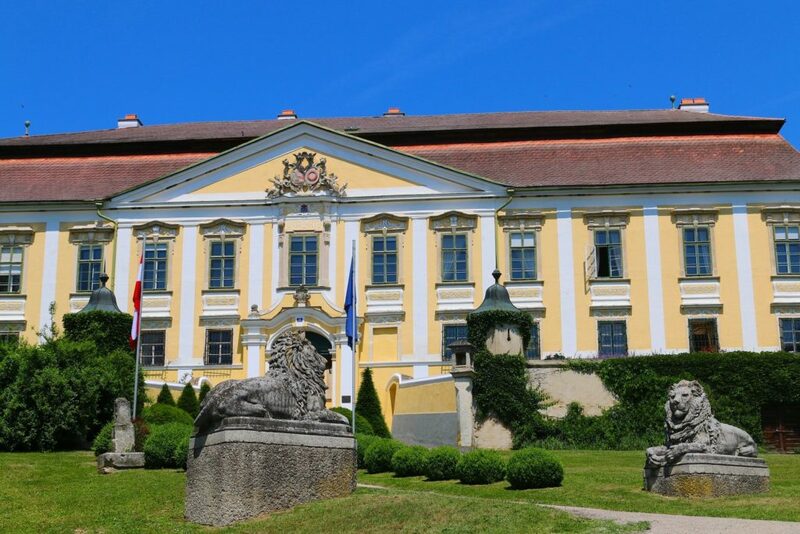 Schloss Gobelsburg is one of Austria’s oldest wineries. The winery is situated next to the town of Langenlois and is known for being the best producer in the Kamptal. The winery was in fact previously managed by monks of the Zwettl Monastery until 1995 but documentation of viticulture dates back to the 1100’s. Although some vineyard practices and winemaking have changed in recent years, the guiding principle at Schloss Gobelsburg remains the same: ‘Simplicity and strictness are the two motifs of monastatic life still working their magic in the cellars’. Barrels are transported on wheels in the cellar and Schloss Gobelsburg see this as an imperative element of dynamic winemaking. Their belief is that the combination of minimal mechanical influence in the cellar and utilization of natural resources helps preserve the true authenticity of their wines. Vineyards sprawl across 35 hectares and undoubtedly the most important varietals are Gruner Veltliner and Riesling but Zweigelt, Blauburgunder (aka Pinot Noir), St Laurent and Merlot make up the remainder of the planted varietals. Ecological and sustainable farming is encouraged on all sites and has been for many years. The monks managing the winery prior to 1995 believed strongly in these practices and would use organic fertilizer, no herbicides and minimal plant protectants. This wine was made from 100% Gruner Veltliner from the Gobelsburg Steinsetz vineyard which lies just outside the village of Gobelsburg. Steinsetz is one of four vineyards which Schloss Gobelsburg believe to produce the best Gruner Veltliner. The vineyard soils are made up of loess and tertiary gravel with vine age of up to 25 years. The fruit was picked in November 2013 and aged in large format Austrian oak casks until bottling in April the following year. The resulting wine has 13% alcohol. The wine is intensely aromatic, authoritative from the get-go. Aromas burst from the glass displaying clove poached pears, green mango, white pepper, honeyed oat and grapefruit marmalade. Ephemeral moments of feeling like oaked Chardonnay and intervals of feeling savoury and herbaceous. There’s a lot going on and this is definitely only the beginning of a long life in the cellar. It’s fresh, semi-creamy, savoury, full bodied and has energy and life to give. Focused, dense and just about ‘jam-packed’ full of flavour. It’s rich, it’s generous but turns a sharp corner and finishes long, dry and with serious minerality. There’s more of a baked apple character to the palate certainly amongst poached pear, grapefruit and there’s a faint nougat edge too. There’s just enough weight but refreshing and mouth-watering acidity plays the perfect balancing act. I would have to say this is probably one of my favourite Austrian Gruners I’ve had. Maybe not quite as rich or oaked as some, but this meets somewhere in the middle and they’ve just nailed it. The wine is balanced, it’s refreshing, elegant and as previously mentioned, it certainly has life ahead of it. 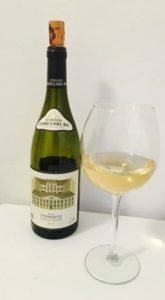 I’m enjoying this wine with creamy garlic seafood skewers with scallops, prawns and swordfish but I can see this working with rich white meat, other seafoods and vegetarian dishes also. Wonderful wine! 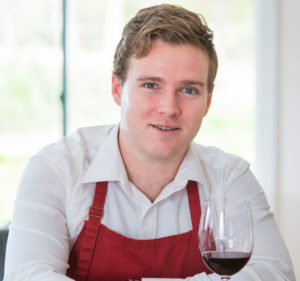 This entry was posted in Adelaide Hills, Adelaide Hills Gruner Veltliner, Adelaide Hills wine, Adelaide Hills wine region, Blaufrankisch, cool climate wine, Diurnal variation temperature, Gruner Veltliner, Gruner Veltliner Australia, Hahndorf, St Laurent, Uncategorized, wine, Zweigelt, Zweigelt Australia and tagged Adelaide Hills, Adelaide Hills wine, Adelaide Hills winery, Blaufrankisch, cool climate wines, Diurnal variation temperature grapes, Gru, Gruner Veltliner, Hahndorf Hill Gruner Veltliner, St Laurent, Zweigelt Australia. Bookmark the permalink.